To make this process clearer, it's helpful to use an established model. The most widely accepted checklist for supplier evaluations is Ray Carter's 10Cs Model. By properly vetting suppliers, you can make sure you're choosing one that communicates well, gives the best deals, and has the highest quality service. To make it easy to keep track of the suppliers you're evaluating, we've designed this process so you can record the supplier's details, take notes, and see the notes summarized at the end. By using the form fields throughout, you'll be able to keep track of multiple evaluations in one place. Start by recording the supplier's details. Does the organization have enough capacity to handle the order? A huge enterprise is unlikely to choose a small, low capacity supplier because the supplier doesn't have enough units to offer. Make sure that the supplier is at least big enough to handle your order size by asking the supplier. While a supplier may offer great prices on the right amount of stock, everything else about them could make them a wrong fit. 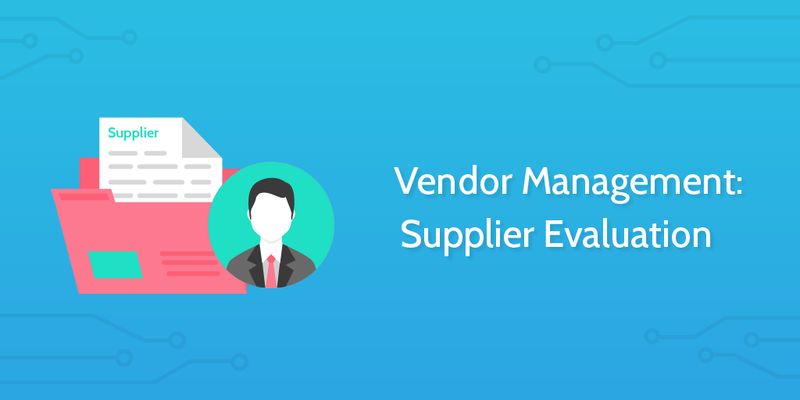 A supplier's competency is best validated by talking to former and existing customers, reading online reviews, and seeing a list of companies that still deal with the particular supplier. Does the supplier rely heavily on external factors to carry its business processes through from start to finish? A business built on shaky foundations and bad processes is unlikely to be able to meet your needs. Ask directly how much control this supplier has over its processes, procedures, policies, and supply chain. How does the supplier ensure consistent service? Ask the supplier about their processes for ensuring consistency, and (if necessary) request a demonstration or test product. All organizations dealing with clients need to comply with high quality standards, whether that's ISO, Six Sigma, or another industry-specific spec. Ask the supplier which standards they comply with, and whether they're going to be able to commit their services to you specifically in the long-term. What information can the supplier offer that will prove its business stability? Ask for proof that the supplier isn't going to go bankrupt, or proof that the business isn't decaying. According to Carter's 10Cs model, the supplier's prices aren't everything. The price of the goods should be considered only after the capacity, quality, and stability of the supplier is judged because those issues can be much more damaging over the long term. Calculate the per-unit prices of each item you need and thoroughly compare them against the supplier's competitors. Are your attitudes, values, and business sizes similar? A massive supply company working with a startup is unlikely to empathize with frustration over a late delivery that was caused by rushing a much bigger deal. While this can be difficult to judge, the basic idea is that it should be possible and amicable to work with (and be valued by) your supplier. Are you working with a supplier that makes efforts to reduce its carbon footprint, treat its workers well, and adhere to ethical and sustainable best practices? Businesses that make efforts to reduce their negative impact on the world will often share this information on their websites, but you could also ask your contact for specifics. Who is your point of contact? How long can you expect to wait for a response? What is the best way to reach your contact? How quickly will you be notified in case of emergency disruptions? How can an issue be escalated to a senior staff member? You can either do this step manually, or set up an integration through Zapier that will send the form data from step 2 to your inventory management software. Learn more about setting up Zapier integrations here.